DIY friendly, maintenance free decking. Whether you are at a swanky bar on Broadway in Nashville or partying hard on a rooftop in Manhattan, the number one thing that makes this all possible is the right flooring. 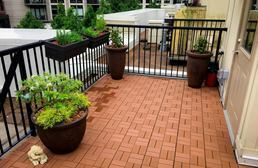 Rooftops have become all the rage in cities all over the US and the right flooring is needed to make these spaces safe and comfortable, not only for the people using it but also for the building itself. 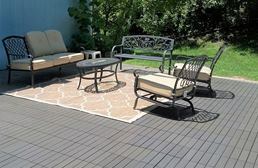 With our wide range of flooring options for rooftops from turf to decking, we are certain to have the perfect rooftop deck flooring option for your rooftop oasis. What is Rooftop Deck Flooring? 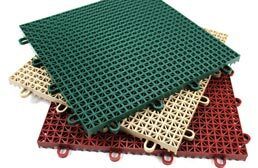 Rooftop deck flooring is specially designed to not puncture or tear the waterproof membrane of a flat top roof. Most modern flat top roofs are sealed with a single-ply rubber membrane that is meant to protect the roof from leaks and water damage. Because of this sensitivity, rooftop flooring must be chosen carefully to prevent damage to flat top roofs. Rooftop deck flooring that has sharp edges and sharp undersides are probably unsuitable for a rooftop due to the threat of puncture. 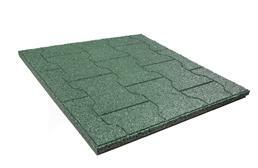 A good rooftop flooring will help protect your roof, is weather and UV resistant, and extremely durable. 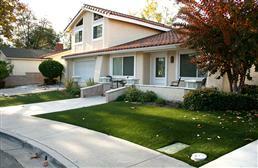 Let’s look at other important features of rooftop flooring. Anti-Slip: Rooftops are going to be hit with rain pretty often depending on where you live. 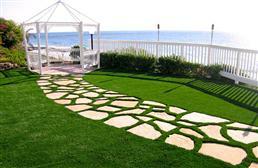 A good rooftop flooring will be anti-slip to allow guests to walk freely without falling. Shock Absorbing: If you’re hoping to be on your rooftop a lot, you’ll want something that’s comfortable under foot. 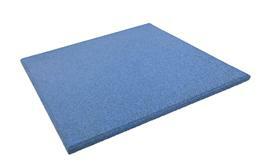 Rooftop flooring with good shock absorption is softer and more comfortable to walk on. Insulating: Uncovered rooftops are often colder and harder on the surface. You can’t walk on top of it without risking rooftop damage. 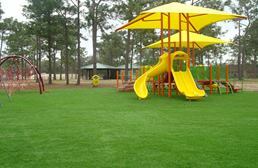 Rooftop flooring is insulating, creating a warmer and softer environment. 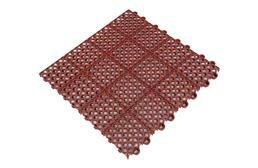 It helps protect the membrane of a rooftop, keeping it from being damaged. 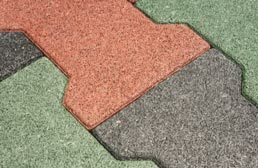 Mold/Mildew Resistant: Rooftop flooring should be weatherproof. At some point it’s going to be pelted by rain and the last thing you want are green fuzzy things growing on top of it. That’s why all rooftop flooring is mold and mildew resistant. 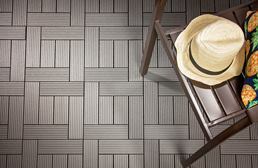 UV Resistant: Rooftop flooring is supposed to stay attractive for years to come. That’s why it’s important to double check your rooftop flooring choice to make sure it is UV stable. That means the color will not fade instantly in the sun. It’ll stay vivid for years. 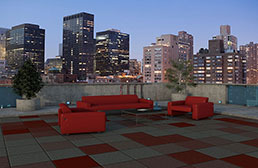 Attractive: The truth is, using rooftop flooring makes your rooftop more attractive for entertaining. Other methods of using the roof for entertaining just don’t look as good, nor work as well. Protects Your Roof: Adding to that point above, you probably shouldn’t use your rooftop for entertaining if you don’t have rooftop flooring to protect it. Putting chairs and tables directly on the roofing surface could permanently damage the roof, causing water leaks. 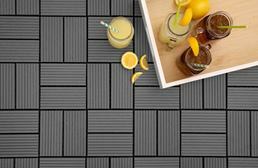 Additional Home Space: The best part of rooftop flooring is that it adds usable square footage to your home. 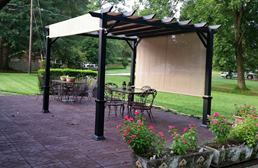 It’s an extra place to decorate and hang out on outside your home. You can use it for yourself, or use it for get-togethers or parties. 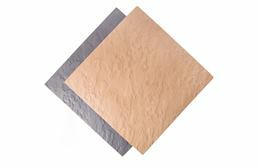 Easy to Install: Rooftop tiles are easy to install yourself, so there’s no need to hire a professional for this project! 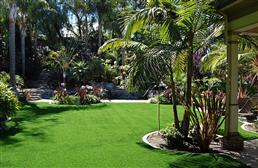 Rooftop pavers are made from either rubber or plastic. They’re super DIY friendly and are one of the most durable types of rooftop flooring. 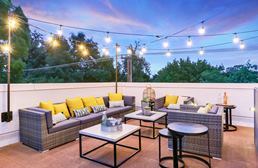 They’re also one of the most inexpensive ways to create a rooftop hangout spot. 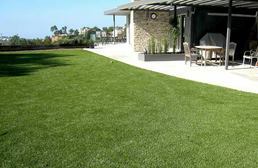 Wanting a rooftop lawn? Artificial grass is the way to go. 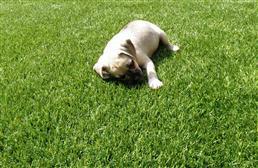 Artificial grass doesn’t attract bugs and isn’t as dirty as real grass. 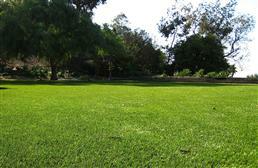 It’s a great space to hangout with a pet or just lounge on your own. 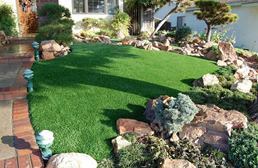 Whether you just want a section of turf, or a whole turfed rooftop, you’ve got options. 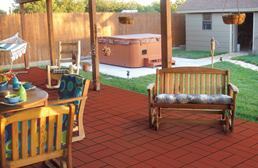 Deck tiles are one of the more expensive ways to deck out a rooftop (pun intended), but it sure does look nice. 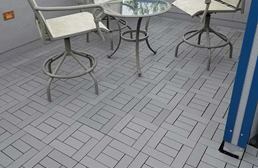 In fact, when you think of rooftop flooring, you probably think of a rooftop deck. 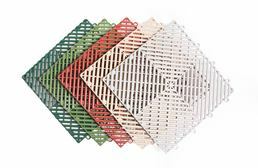 Unlike real wood, composite deck tiles won’t attract bugs and decompose over time. It requires little to no care. Just sit back, hang out, and enjoy. Q) Will my rooftop deck flooring get hot? A) With full exposure to the sun, rooftop flooring will get hot, so you might not want to walk barefoot on it in the middle of summer. However, there are a few steps you can take to help keep the heat down. 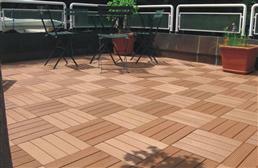 Q) Will my rooftop deck flooring color fade? 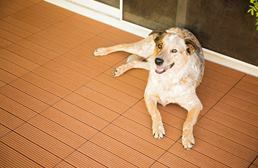 A) For the most long-lasting color, we suggest finding a rooftop flooring that is UV-resistant. This will ensure that the color stays bright for as long as possible. After a certain amount of time, fading might occur. Q) How do I clean my rooftop deck flooring? 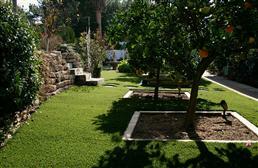 A) Rooftop flooring can be cleaned by sweeping or vacuuming dust and debris off the surface. You may also use a hose, wop, or power washer to further clean any mud or dirt off the surface. Q) Does water get trapped underneath roof deck flooring? 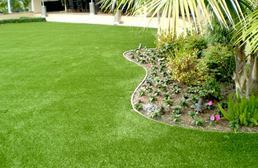 A) Depending on the type of rooftop flooring you purchase, the flooring will either be non-porous or water permeable. 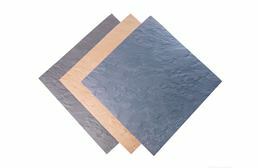 Non-porous tiles, such as our Life Floor Slate Tiles, are water tight and water will evaporate from the surface. 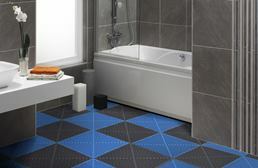 Tiles that are water permeable allow water to flow through them and that water will eventually evaporate. All rooftop tiles are mildew and mold resistant, so you don't have to worry about anything growing on your rooftop that you didn't plant! Q) Are these products safe over any flat-top roof? A) Flooring specially made for rooftops will not damage your rooftop . Rooftops can be damaged by sharp edges, or walking on a rooftop without a flooring in place. Rooftop flooring can actually protect your roof from damage. These products are safe for built-up roofs, modified bitumen roofs, and single membrane roofs.